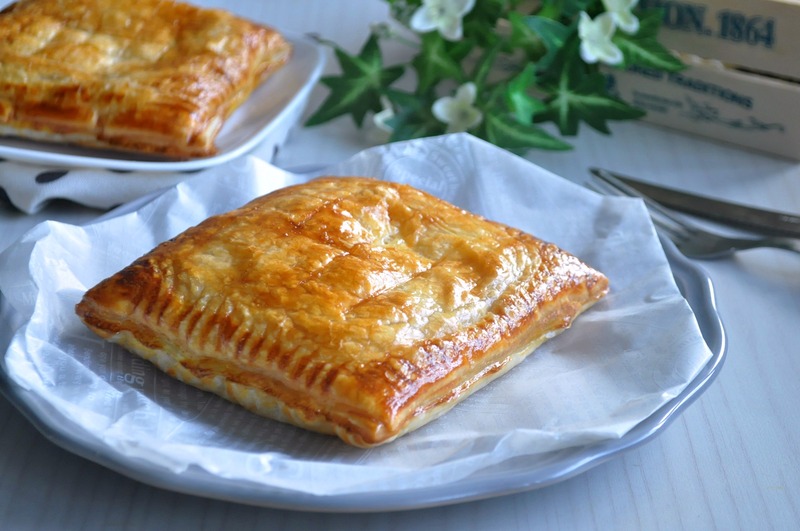 I am quite a big fan of puff pastry, but I only fancy those with savoury fillings such as curry, otah or tuna. And this puff pastry is really simple to put together. Preparation takes less than 15 minutes with a simple 5 ingredients thingy. 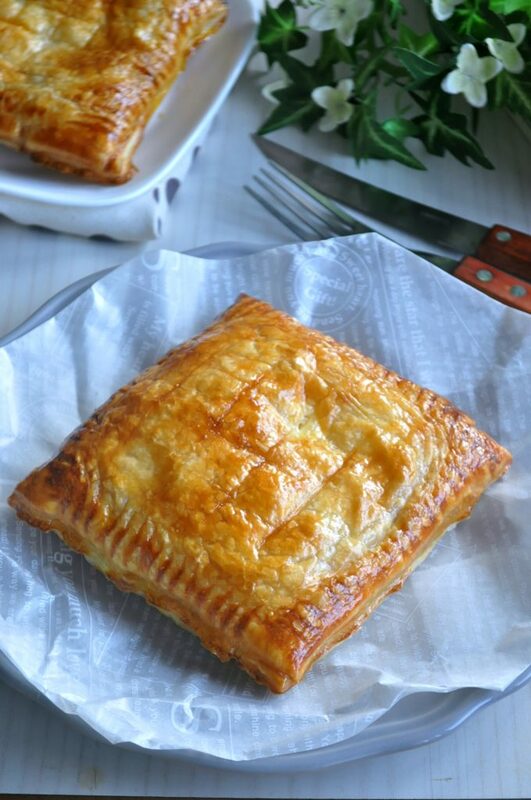 And you get freshly baked Tuna Puff Pastry that’s deliciously piping hot from the oven. And this is really versatile. Instead of tuna, you can literally replace it with anything you fancy too. 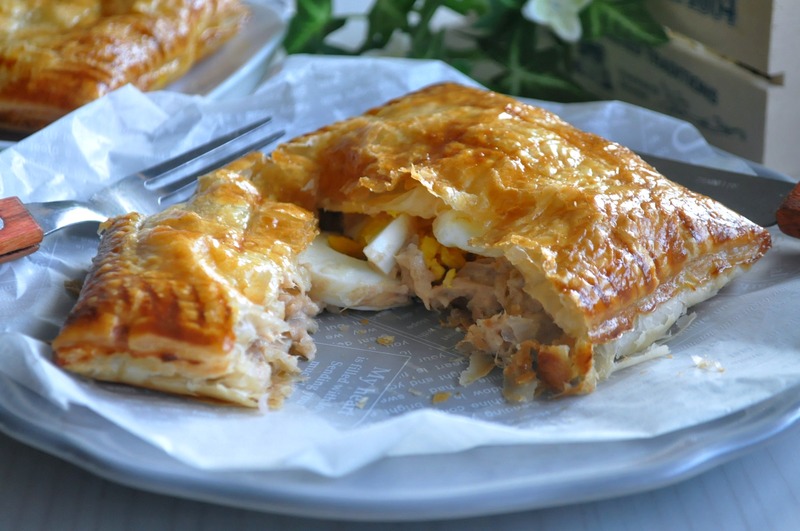 Cook it with some savoury chicken fillings and it will make a chicken pie while curry chicken potatoes make it a good curry puff. It is really easy to work around too. 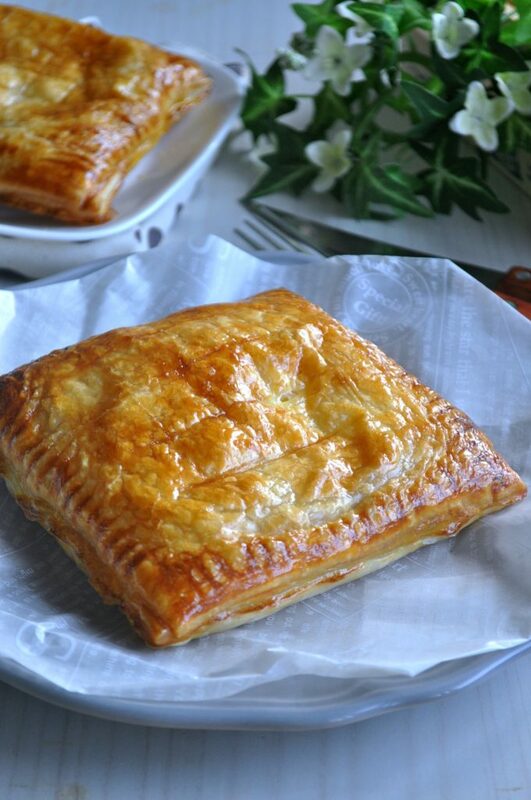 Simply cut puff pastry, top with fillings, cover another sheet of puff pastry, egg wash and pop them into the oven. In 15 minutes’ time or slightly more of baking time, a lovely hue of perfectly golden brown pastry is to be served ! And to make it stand out from the commercially sold crowds, I added some hard boiled eggs to the tuna and upped its tastiness with more shallots, japanese mayonnaise and a slight twine of lemony taste. It all turns out to be brilliantly good !! Other than fresh ingredients, I get my all my canned products, including this tuna mayonnaise from PurelyFresh online as well because that jolly well saved me from all the heavy lugging of groceries all the way from retail supermarkets. 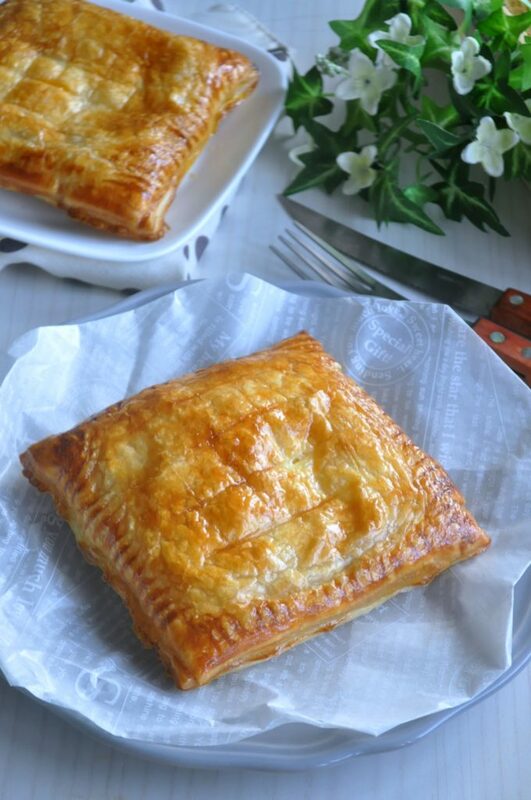 So get this incredibly fast and tastefully delicious Easy Tuna Puff Pastry done up from the comfort of your home today ! Chopped and minced the shallots. Combine the tuna mayonnaise with the minced shallots, japanese mayonnaise and lemon juice together and mix well. Prepare a hard boiled egg by cooking an egg in boiling water for approximately 20 minutes. Remove the egg and place it in some cold water. Peel off the shells and sliced the egg. Cut the puff pastry sheet into quarters. Egg wash the puff pastry and top it with half of the tuna mixture. Cover the puff pastry with another ¼ sheet, pull it slightly to enlarge it so that it is large enough to cover and seal the edges. Using a fork, prick the edges of it all over and make some criss cross pattern on the top. Egg wash the top. 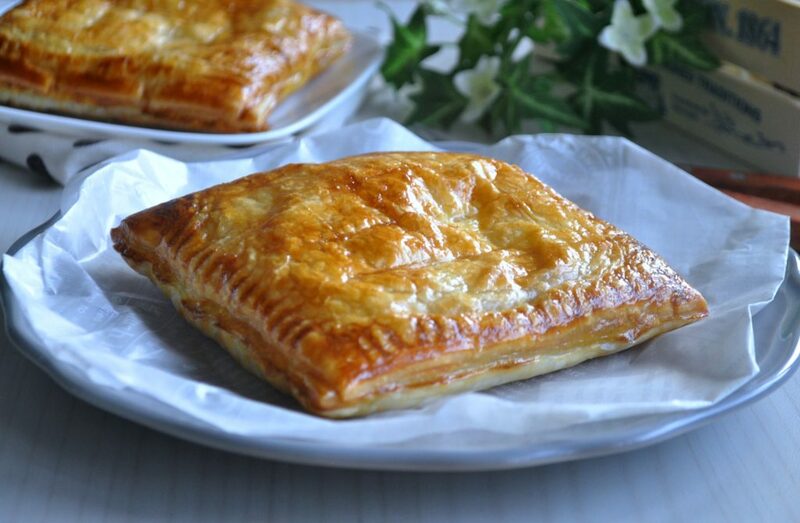 Bake the puff pastry in a pre-heated oven at 220 degrees C for approximately 15 minutes or until puffed up and golden brown. Remove from oven and serve hot.